We’ve compiled all our notes, photos and videos from last month’s Mississippi Book Festival. 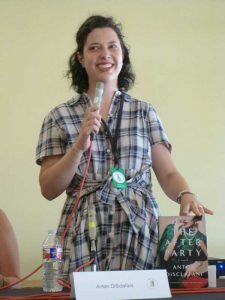 This year’s panels were excellent, delving into issues of race, Southern fiction today, Mississippi noir, Willie Morris and his books and everyone’s favorite book club picks. We spent the day meeting authors like M.O. Walsh, Cynthia D’Aprix Sweeney, Anton DiSclafani (pictured), Karen White, Jesmyn Ward, Michael Farris Smith and lots more. Mississippi’s “Literary Lawn Party” is the place to beat the heat in August and join fellow book lovers for a day of celebrating the state’s literary legacy. 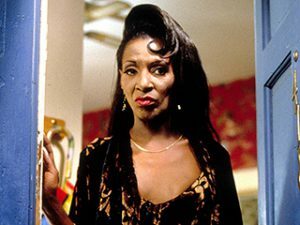 Real-life transgender character from Midnight in the Garden of Good and Evil Lady Chablis died yesterday in Savannah, Georgia. She gave her final performance at Club One downtown August 6 before being hospitalized for pneumonia, her ultimate cause of death. Author Nicole Seitz travels back in time to the romantic days of F. Scott Fitzgerald at Omni Grove Park Inn in Asheville in our Travel section this month. A James Baldwin documentary is coming soon, premiering at the Toronto International Film Festival this month and based on a book about black leaders that Baldwin never got to write. Ann Patchett’s interview in The Guardian made the rounds this week, as the Nashville bookstore owner talks about doing good, finding time to write when she also has to make dinner and the legacy of divorce in her family. Alabama storyteller Kathryn Tucker Windham has a new website thanks to her children. www.kathryntuckerwindham.com for her bio, stories, videos and more. We first heard about Natashia Deon’s novel Grace during the “Book Club Picks” panel at the Mississippi Book Festival. We’re not sure how this gem slipped by us, but author Vanessa Hua reviews the book for #30Authors this week. University of Tennessee at Knoxville continues its fall series of Writers in the Library on September 19 with Leah Stewart. Tinderbox Writers Retreat is scheduled for September 23-27 in Sullivan’s Island, South Carolina, with Kimberly Brock and Kristy Woodson Harvey. And Ossabaw Island Writers’ Retreat will be October 28-30 in Ossabaw Island, Georgia. Save the dates for upcoming book festivals, including Decatur Book Festival September 2-4, Southern Festival of Books in Nashville October 14-16 and Louisiana Book Festival October 29 in Baton Rouge. We have two pieces of original fiction for September: Spark Plugs by Scott Blackburn and The Tattler by Steve Lambert. Photo credits: Anton DiSclafani by Tamara Welch and Lady Chablis Moviestore/REX/Shutterstock.